When we transform our Asciidoc source files to HTML Asciidoctor will print the date and time the document was last updated in the footer. 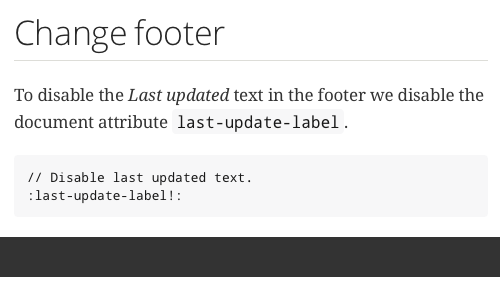 If we want to disable the Last updated text we disable the document attribute last-update-label. // Disable last updated text.